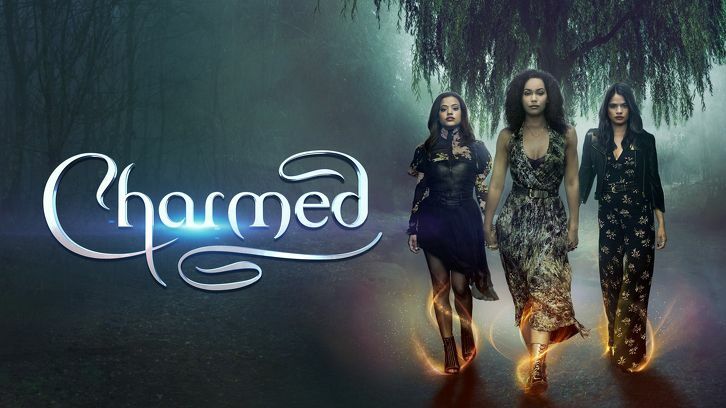 Charmed - Let This Mother Out & Sweet Tooth - Review: "Getting There"
Sorry for the delay in reviews guys, but when life happens time flies by too fast. Nevertheless this didn't prevent Charmed from stepping up their game. 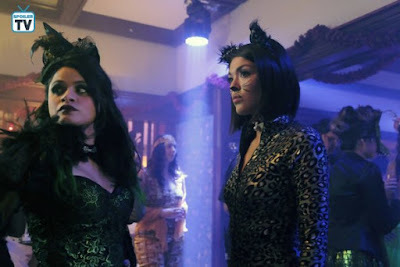 While the Pilot episode was decent enough in my opinion, the two follow up episodes made a better job in portraying the sisters, their flaws and virtues and building up on their sisterhood. 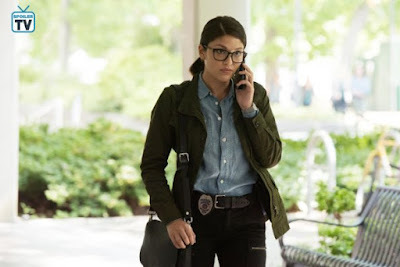 Sarah Jeffery's Maggie was an underdog in the Pilot episode and even though the quirks and puns with her were fun the emotional focus this episode provided was very much needed. Maggie is at a turning point in her life at a point where she will shape as a person and grew into whoever she will be tomorrow. All of this with the emotional baggage of her powers and the need to fit in is a heavy burden to carry. Being pushed between Mel and Macy was an interesting point of view and being closed off all the time helped in building up her character and stand her own ground. Introducing the Trickster demon at this point was an interesting choice. While it proved like a valid way to establish their girls and tackle their grief it could've worked a lot better further down the line. The way the Demon tricked itself was a very smart move. While it can mimic their feelings and emotions it couldn't repeat the real emotional pattern of their Mother and it was a great way to expose the Demon. Macy's story this week was solid as well but the writers really need to expand on her emotional baggage. She is a loner by nature and just switching things up this rapidly can't go this smoothly. The struggle within her that transfered to her work was obvious and Macy really has a major broom in her behind. Still, all that makes her interesting to watch. Her struggle to be who she is and adapt tothe life with her sisters is well layered at the moment. As said The writers need to build further on that. Last but not least, Mel's stubborn ways put a couple of roadblocks in their Charmed ways. Her distrust towards Harry proved almost fatal for the sisters though. But even that is okay like Harry said. They aren't the first ones to fall for a Trickster demon. They are vulnerable and of course she would do anything possible to talk her mother once more. She inching up to trusting Harry was nice and their relationship just gets better from this point on. But I'll talk about that a bit later. Mel's interaction with Niko was another highlight. Ellen Tamaki's Niko was definitely the weakest part of the Pilot episode so it was a nice surprise to see her step up to this week and deliver some great comedic and framatic moments. Niko on truth serum was hilarious and served as a great way to open her and Mel's relationship and expose the underlining tension Mel was oblivious too. Really looking forward where the writers will take their relationship from here. Meanwhile the Harpincher demon was inching closer to the girls. . . The third episode of Charmed's freshman run was their best to date. It contained a quality story with the sisters facing their first quality Demon and exploring the outs and odds of their characters. The interactions between Harry and Mel are getting jucier by episode. Their clashes are well written and the chemistry between the character is through the roof. Their scenes flow really well and the "witch coming out" pov worked so well. Mel is a powerful and bright character so exploiting her struggle deeper and understanding why she is fighting so strong against Harry's "opression" made up for some good television. 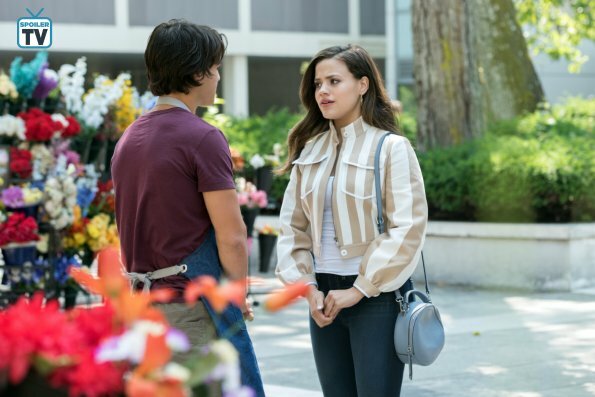 Melonie Diaz once again proved she deserved a place in our Characters to Watch out article as her confession to Harry was deeply moving and delivered on point. After Harry's confession I am looking forward to see them interact more. On the otherside, the sisterly bonding between Maggie and Macy was truly delicious. As them being complete opposites it was really good seeing them find common ground. Maggie already has a sister who is completely different so her searching for common ground with Macy was sweet. Maggie meeting Parker and having that those great sparks with him didn't really go in the direction I wanted. I had him rather be another Demon or Witch and not another girl's boyfriend, but maybe he will turn out to be more than meets the eye. While I am not really convinced by Macy and Galvin's big love story, I love how Macy gets all quirky around him. He opens her up or better says makes her wanting to open up. The reveal that Macy is a virgin was a surprise indeed. It suits to her character and to her loner nature. The hunt for the Harpincher was very well executed and the CGI was quite impressive in my opinion. Leah Lewis was perfect as Angela Wu and her fight against the sisters was quite enjoyable. Mel's Solaris bomb was a bomb indeed and knocking out the Harpincher looked amazing. The lessons about magic and personal gain for Maggie were well placed and combined the seriousness and comedic moments really well. And before tonight's big Episode where the girls will have to kill Angela Wu and the Harpincher, tell me what you think of these two episodes. And come back tomorrow to talk about the new wepisode airing tonight on the CW. . .